Now we want to show one report were all entries are listet, an one only with the entries with "bug" choosen. Is that possible? How to? Unfortunately it is only possible to sort the data on the reports. To filter the data you can use an external spreadsheet application such as Microsoft Excel. 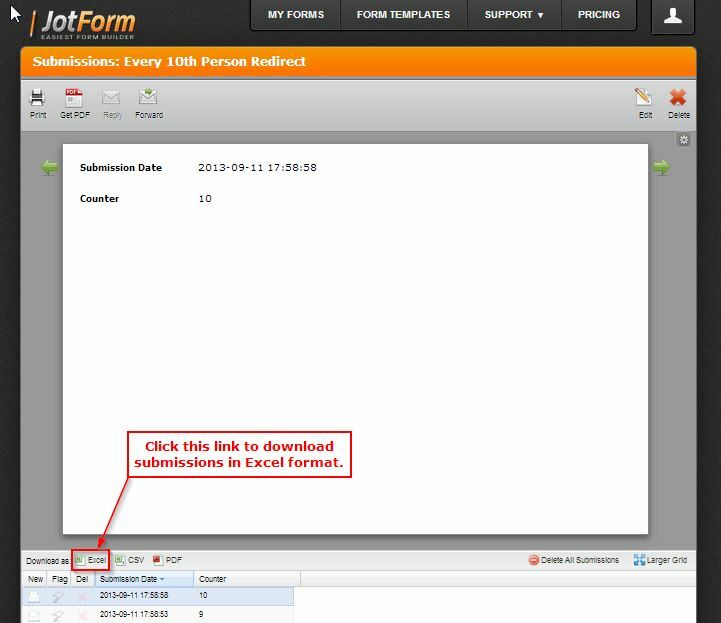 Select the form you are working on, then click on the submission button at the top of the toolbar. Then click the Excel Icon on the bottom left corner of the displayed submission. If you do need further support, do let us know. Thank you.